Sione Lauaki has been fined and given a final warning, but not suspended following his guilty plea to an assault charge last month. It has been expected the New Zealand Rugby Union (NZRU) would take a hard line with Lauaki. It’s the third time he has had to be sanctioned by the NZRU following drunken incidents. His previous indiscretions included assaulting a hotel doorman and damaging a motel room. The NZRU have apparently been pleased with Lauaki’s progress since those incidents and the lack of further punishment reflects that. However, the fine of $4000 is the maximum they are allowed to fine a player. The Chiefs will be hoping the lack of suspension from the NZRU will be enough to clear Lauaki’s head enough to focus on the campaign ahead, especially tomorrow’s game against the Bulls. His contribution is vital if the Chiefs are to get their season back on track. 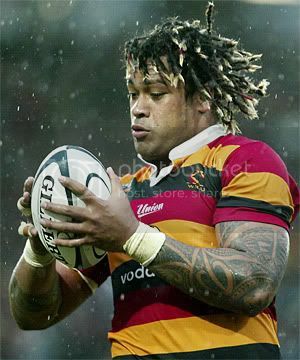 Sione Lauaki could look to the turn-around in Jimmy Cowan’s career having stopped drinking alcohol during the season. He’s become the All Black halfback and captain of the Highlanders. At this point Lauaki should probably look at a similarly drastic solution. Having plead guilty plea to common assault on the 23rd of March, Sione Lauaki will appear at the Hamilton District Court appear at the Hamilton District Court on Thursday 6 May for sentencing.